Here is our updated list of NT fishing tours, boat hire and accommodation for 2018. Bookmark this page if you are planning an NT fishing trip. List compiled by staff at North Australian FISH FINDER TM. Note that fishermen taking bluewater charters out of Darwin can stay anywhere in the city as it is invariably a short trip to where charter boats embark. A more expensive but preferable option is to stay on a mothership at the fishing location. This puts you on the creeks early. Accommodation for people fishing out of Darwin …. 10 Colonial Court …. details here. 69 @ Kube …. details here. Adina Apartment Hotel Darwin Waterfront …. details here. Alatai Holiday Apartments …. details here. Argus Apartments Darwin …. details here. Argus Hotel Darwin …. details here. Bali Studio …. details here. BeachLife Apartments …. details here. BIG4 Howard Springs Holiday Park …. details here. C2 Esplanade Service Apartments …. details here. Cardona Crt …. details here. Casa on Gregory …. details here. Chillis Backpackers …. details here. Chique Chaque …. details here. City Gardens Apartments …. details here. Club Tropical Resort Darwin …. details here. Coconut Grove Holiday Apartments …. details here. Crocodilly Inn …. details here. Crocs on Cavenagh …. details here. Crown Point on Cullen …. details here. Cullen Bay Luxury Suites …. details here. Cullen Bay Resorts …. details here. Darwin Central Hotel …. details here. Darwin City B&B …. details here. Darwin City Chic@Kube Apartments …. details here. Darwin City Edge Motel & Suites …. details here. Darwin City Hotel …. details here. Darwin City Point Hotel (Poinciana Inn) …. details here. Darwin Deluxe Apartments …. details here. Darwin Esplanade Escape …. details here. Darwin Executive Stay …. details here. Darwin Executive Suites & FREE CAR …. details here. Darwin holiday home …. details here. Darwin Waterfront Apartments …. details here. Darwin Waterfront Luxury Suites …. details here. Darwin Wharf Escape Holiday Apartments …. details here. Discovery Parks – Darwin …. details here. DoubleTree by Hilton Darwin …. details here. DoubleTree by Hilton Esplanade Darwin …. details here. Down Under Hostels …. details here. Eagles Nest Waterfront Retreat …. details here. Frogs-Hollow Backpackers …. details here. Frontier Hotel Darwin …. details here. H Hotel …. details here. H on Mitchell Apartment Hotel …. details here. Heritage Apartment …. details here. 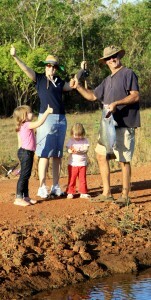 Hidden Valley Holiday Park Darwin …. details here. Hilton Darwin …. details here. HiWay Inn Motel …. details here. Jewell Apartment …. details here. Kakadu @ the Kube (Darwin City) …. details here. La Marina Waterfront Villa …. details here. Luma Luma Holiday Apartments …. details here. Mandalay Luxury Stay …. details here. Mantra on The Esplanade …. details here. Mantra Pandanas …. details here. Marrakai Apartments …. details here. Melaleuca on MitchellDarwin YHA …. details here. Mercure Darwin Airport Resort …. details here. Metro Advance Apartments & Hotel …. details here. Novotel Darwin Airport …. details here. Novotel Darwin CBD …. details here. Oaks Elan Darwin …. details here. One30 Esplanade …. details here. Palms City Resort …. details here. Parap Village Apartments …. details here. Paravista Motel …. details here. Peninsular Apartments …. details here. Pips Esplanade Hideaway …. details here. Quality Hotel Darwin Airport …. details here. Quest Berrimah …. details here. Quest Palmerston Darwin …. details here. Quest Parap …. details here. Ramada Suites Zen Quarter …. details here. RNR Serviced Apartments …. details here. Rydges Palmerston …. details here. Saltwater Suites …. details here. Seabreeze on Nightcliff …. details here. Sky View …. details here. Skycity Darwin …. details here. Skytower Central …. details here. Sunset on Nightcliff …. details here. The Bali House …. details here. The Cavenagh …. details here. The Leprechaun Resort …. details here. The Lookout …. details here. Travelodge Resort Darwin …. details here. Value Inn …. details here. Vibe Hotel Darwin Waterfront …. details here. Villa Frangipani …. details here. Wagait Beach Bush Retreat …. details here. Youth Shack Backpackers Darwin …. details here. Accommodation for people fishing Bynoe Harbour …. Crab Claw Island …. details here. Sandpalms Roadhouse …. details here. Accommodation for people fishing the Adelaide River …. Goat Island Lodge …. details here. Mt Bundy Station …. details here. Accommodation for people fishing Kakadu …. Cooinda Lodge Kakadu …. details here. Kakadu Lodge …. details here. Mercure Kakadu Crocodile …. details here. Accommodation for people fishing out of Nhulunbuy …. Bremer Island Banubanu Beach Retreat …. details here. Walkabout Lodge …. details here. Accommodation for people fishing out of Katherine …. Cicada Lodge …. details here. ibis Styles Katherine …. details here. Katherine Motel …. details here. Katherine River Lodge …. details here. Knotts Crossing Resort …. details here. Paraway Motel …. details here. Pine Tree Motel …. details here. Accommodation for people fishing the Daly River …. Woolianna on the Daly …. details here. Daly River Barra Resort …. details here. Banyan Farm …. details here. Accommodation for people fishing the Roper River …. Roper Bar Caravan Park …. details here. Tomato Island Campground (Munbililla) only vans and tents …. details here. Accommodation for people fishing the McArthur River …. King Ash Bay Fishing Club …. details here. Accommodation for people fishing the Mary River region …. Corroboree Park Tavern …. details here. Mary River Houseboats …. details here. Mary River Wilderness Retreat …. details here. Remote NT private camps …. Wiligi Arnhem Land …. details here. Cobourg Fishing Safaris …. details here. Lorella Springs Station …. details here. Limmen Fishing Camp …. on the Limmen Bight River has fuel, riverside camping and very basic accommodation 25km from the Savannah Way Cox River crossing. Ph 08 8975 9844. Seven Emu Station …. details here. Manangoora Station …. access to the Wearyan River, Gulf of Carpentaria and Vanderlin Island. Phone: 08 8975 9549. Accommodation for people fishing out of Dundee Beach …. Dundee Beach Holiday Park …. details here. Mermaid Rest …. details here. Rustic Retreat …. details here. Skippers at Dundee …. details here. Darwin and NT boat hire services …. Barra Boat Hire …. details here. 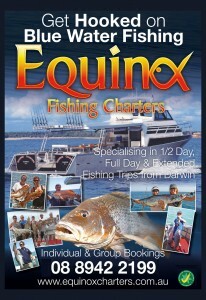 Darwin Boat Hire …. details here. Top End Boat Hire …. details here. Outback Boat Hire …. details here. Corroboree Boat Hire …. details here. Offshore Boat Hire …. details here. 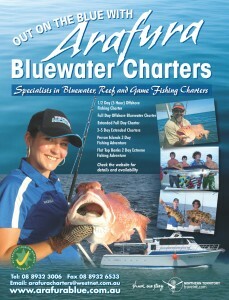 Bluewater fishing charters out of Darwin …. 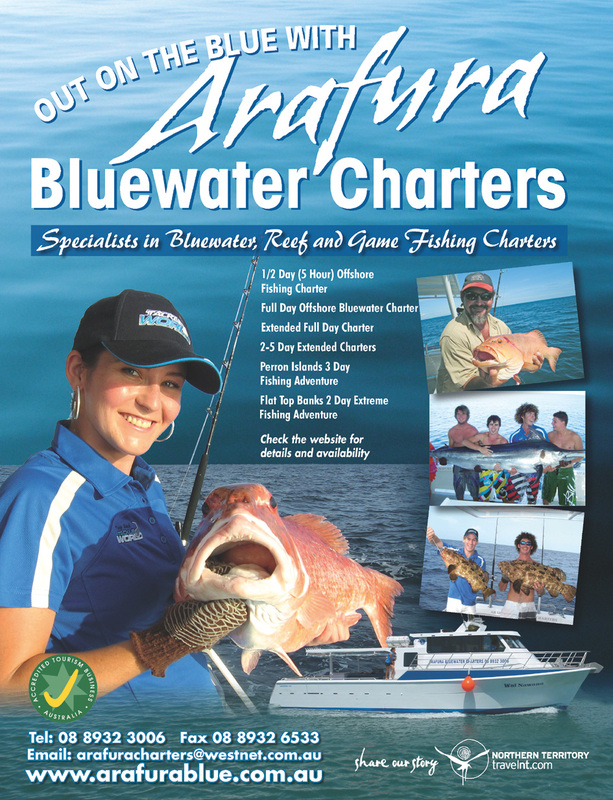 Arafura Bluewater Charters …. details here. 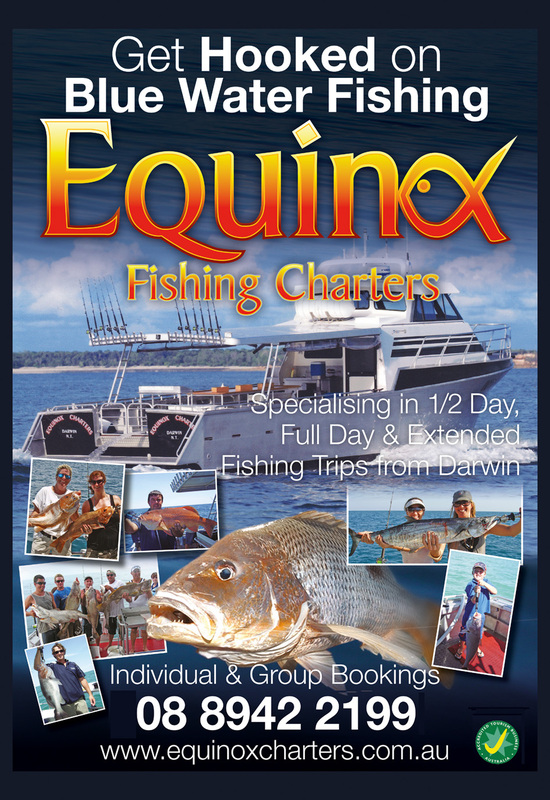 Equinox Charters …. details here. Barramundi fishing guides out of Darwin …. Spring Tide Fishing Safaris …. details here. Darwin North Australia (DNA) Barramundi Fishing Tours …. details here. Darwin Barra and Crab …. details here. Obsession Fishing Safaris …. details here. Cannon Charters …. details here. Accommodation for people fishing out of Karumba in the Gulf of Carpentaria (NQ) …. Ash’s Holiday Units …. details here. End of the Road Motel …. details here. Gee-Dee’s Family Cabins …. details here. Karumba Point Sunset Caravan Park …. details here. Matildas End Holiday Units …. details here. Riverside Karumba …. details here.